Said to be the "THOMPSON" mentioned in the book, The Campbellite Story, by Jonathan Smith, whom they assumed to be Thomas THOMPSON (1797-1878), founder of the Disciples of Christ in northern California. In my opinion, the above THOMPSON in no way resembles Thomas THOMPSON. 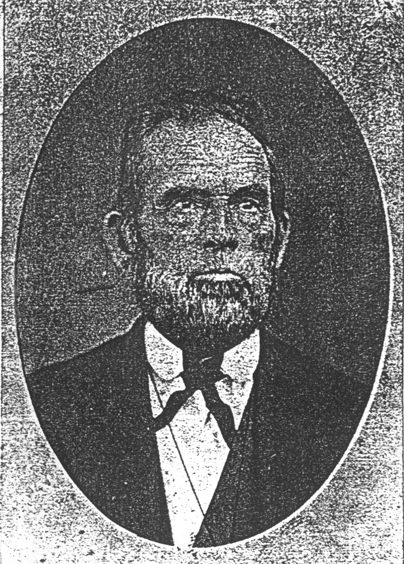 I suspect the image may be of John THOMPSON, a prominent figure in the early Campbellite movement in Kentucky, but I could be wrong. If you know the identity of this THOMPSON, for certain, please share. I do not have the full citation for this work, nor can I find it in the online catalogs for the LoC or Melvyl or via Google search. However, at the LoC there were many works listed for a Jonathan Kennon SMITH, a.k.a., Jonathan Kennon Thompson SMITH, who was a prolific compiler of genealogical information, mostly in the state of Tennessee, so the work was probably his. If you know the full citation, please share.